GSA Schedule 70 is an indefinite delivery, indefinite quantity (IDIQ) contract administered by the Federal Supply Service (FSS) of the U.S. General Services Administration (GSA). Any U.S. state, local, and federal Government agency can take advantage of our GSA Schedule 70 to order our services. Ordering information on this GSA Schedule 70 is available on GSA’s online ordering system, GSA Advantage! Step 1: Customer consults with SoftDev professionals to develop the Statement of Work (SOW) and provides it to the Contracting Office Technical Representative/Contracting Office Representative (COTR/COR). Step 2: COTR/COR reviews documentation and forwards with funding documents to Contracting Office. Step 3: Contracting Office requests quote from SoftDev. Step 4: SoftDev provides quote – and technical proposal, if applicable – to Contracting Office for evaluation and award. Step 5: Contracting Office awards and distributes documentation to SoftDev. The Chief Information Officer – Solutions and Partners 3 (CIO-SP3) Small Business (SB) Government-Wide Acquisition Contract (GWAC) is a ten (10) year Indefinite Delivery/Indefinite Quantity (IDIQ) contract. This contract is intended to provide information technology (IT) solutions and services as defined in FAR 2.101(b) and further clarified in the Clinger-Cohen Act of 1996. These IT solutions and services include health and biomedical-related IT services to meet scientific, health, administrative, operational, managerial, and information management requirements. The contract also contains general IT services partly because medical systems are increasingly integrated within a broader IT architecture, requiring a systems approach to their implementation and a sound infrastructure for their operation. The Strategic Partners Acquisition Readiness Contract (SPARC) is a cost-effective, innovative solution for procuring information technology (IT) professional services from a pool of CMS experienced partners. The purpose of this contract is to provide strategic, technical, and program management guidance and support services, to facilitate the modernization of CMS business processes and supporting systems. SPARC is a multiple award, Indefinite Delivery/Indefinite Quantity (IDIQ), performance-based contract. It is available to all components within Centers for Medicare & Medicaid Services (CMS) and all Health and Human Services (HHS) Operating Divisions to procure IT System development services, from end to end. For more information about the SPARC IDIQ, please visit the CMS SPARC IDIQ site. The Transformation Twenty-One Total Technology (T4) Next Generation (T4NG) is a total IT services solution encompassing, but not limited to software and IT products incidental to the solution, in conjunction with all services needed to integrate a system, network, or other IT service in order to meet a client’s mission requirements. Accordingly, Task Orders may include acquisitions of software and IT products. Services shall include technical, systems engineering and other solutions encompassing the entire range of IT requirements. Services, as well as related IT products, may encompass the entire life-cycle of a system, including but not limited to program management and strategy planning, systems/software engineering, enterprise network, cyber security, operation and maintenance and IT facilities. Moreover, services and related products covered under this contract shall be global in reach and the Contractors must be prepared to provide services and deliverables worldwide. 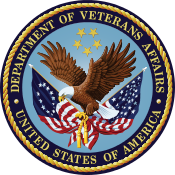 Contractor-provided solutions may support the Department of Veterans Affairs (VA) and its joint initiatives, other Federal Agencies, and if so authorized by specific Legislation (e.g. Public Law 108-136 Section 803), tasks for State and local Governments involving information technology and telecommunications that are federally funded. SoftDev is part of a Department of Defense (DoD), Defense Logistics Agency (DLA) contract award as a subcontractor for the DLA J6 Enterprise Technology Services (JETS). Our prime contractor is TecPort Solutions/Computer Aid, Inc. This is an IDIQ contract and the actual work will be issued and awarded as task orders under the contract. The overall IDIQ contract value has a ceiling at $6B, and the period of performance is a 5 year base plus 3 one year options. The DLA is the DoD’s largest logistics combat support agency, providing worldwide logistics support in both peacetime and wartime to the military services as well as several civilian agencies and foreign countries. The DLA JETS IDIQ will provide the full range of IT services, technical and management expertise, and solution-related enabling products. IT solutions include those capabilities, applications, software, hardware, infrastructure and systems across the DLA IT Enterprise. Support will be provided for IT solutions, technical support, maintenance and sustainment; operations support; application development, maintenance and technical support; and lifecycle management. The Program Support Center (PSC), a fee-for-service Government agency, expands the services available to the Department of Health and Human Services (HHS) and other agencies through the use of Indefinite-Delivery, Indefinite-Quantity (IDIQ) Contracts to increase the number of Contractors and resources available to provide required services, and to enhance our ability to produce quick-turnaround and “real time” information. These studies focus more narrowly on current programs in an effort to define issues or problems. These studies may be distinctly more management and impact oriented. The intended uses of program assessments are similar to policy assessments and may include budgetary and legislative decisions as well as program modification or redesign. Program assessments may identify Abest practices@ in a number of program sites, produce preliminary data on efficiency and effectiveness (impact) and recommend options for program change or subsequent evaluation. Production and Distribution of Publications - Services may include design, layout, word processing, copy-editing and photocopying of reports, materials, brochures, or other printed or electronic materials. Graphic services, including those of graphic artists, may also be required for the preparation of graphs based on the analysis of technical data and in the preparation of flyers, posters, pamphlets, covers, logos, and promotional materials. All services shall comply with agency and Departmental standards and requirements, which may involve liaison work with agency representatives, writers, graphic designers, and the Government Printing Office (GPO). GPO requirements may also necessitate the Contractor working with the agency for printing, duplication and/or publication of materials through GPO. The purpose of the Measure & Instrument Development and Support (MIDS) Indefinite Delivery/Indefinite Quantity (IDIQ) Umbrella Statement of Work (USOW) is to develop outcome, process, structural, cost and composite quality measures suitable for endorsement by a consensus endorsement entity and reflective of quality care for healthcare settings, such as psychiatric hospitals, ambulatory care services, physician providers, accountable care organizations, nursing homes, home health agencies, hospice programs, long-term care hospitals, in-patient rehabilitation facilities, PPS-exempt cancer hospitals, acute care hospitals, and ambulatory surgical centers. Its purpose is to also support the collection of data that could be used to trend quality related to patient care for those patients that move across settings, as well as other uses related to cross-setting analysis. Such quality care measures would include any aspect of care that is consistent with the Institute of Medicine’s (IOM) Six Aims of Care (safety, timeliness, efficiency, effectiveness, equitability and patient centeredness), is consistent with the National Quality Strategy (NQS), and is in alignment with CMS’ three Aims (Better Care, Better Health, Lower Costs through Improvement) and Quality Measurement Strategy. The Centers for Medicare & Medicaid Services (CMS) Center for Clinical Standards and Quality (CCSQ), Survey and Certification Group, Training Team (SCG/TT) is responsible for providing leadership, overall programmatic direction and training to Regional Offices (ROs) and State Survey Agencies (SAs) for implementation and enforcement of health quality standards and safety requirements for Medicare/Medicaid providers and suppliers of health care services. We are always interested in new partnerships and collaborations. 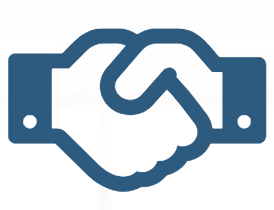 If you are interested in partnering with us, send us your company’s standard capabilities statement and a contact with whom we can connect. If you have a specific capability you would like to focus on, please send us your general capabilities statement and one tailored to your specific area of interest. We look forward to speaking with you.